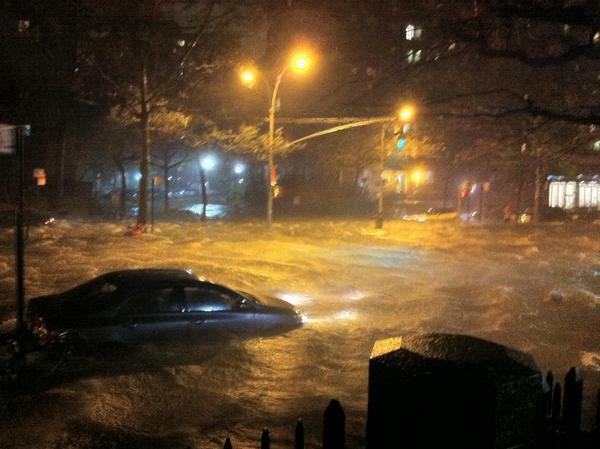 Hurricane Sandy | Sustainable Shanti Is Now Em & El Organics! No blog post today…we’re dealing with a bit of a situation here in New York City. Sending light, love and safe wishes to everyone in the storm’s path, as well as to the crew of the now-sunk H.M.S. Bounty and the crew’s family. This entry was posted in Uncategorized and tagged climate change, flooding, Hurricane Sandy, New York City by sustainableshanti. Bookmark the permalink.